Sorted! is made by the great folks at Innvio; the same developers that make all of those cute Make a Scene games for kids. 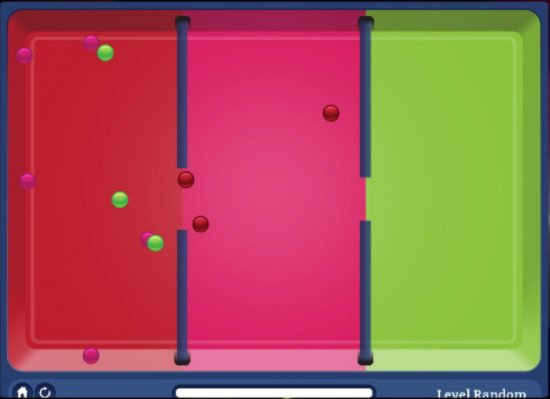 The object of the game is fairly simple and straight forward: sort the colorful balls bouncing across the screen into their matching zones before time runs out, using the sliding hole in the wall(s) to manage sorting. Once you've got the matched colors sorted, you move on to the next level. Sounds easy enough right? Perhaps in the beginning, but as you progress through the 39 levels of Sorted, the difficulty ramps up to excessively challenging levels. Of course, if pushing through increasingly difficult levels isn't your thing (or if you've already managed to do that), there's a random button to make things a little more... random. Hit it and you might get a that's super easy and you just breeze right through, or you may get a level so ridiculous you'll consider commiting yourself rather than attempting completion. It's that maddeningly simple concept at play, but when ramped up to extremes can be on the frustrating side. Too frustrated by the cacophony of balls screaming across the screen and vaulting through your open doorways? Just hit that random button again. As far as idle time killers go, Sorted could be the game for you. It's simple enough for kids and adults (and even the technology-challenged loved ones in your life), both in concept and controls. 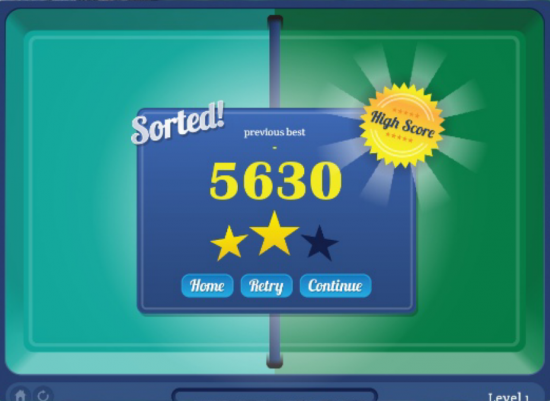 There's not a lot to complain about with Sorted, it's a simple game and decently executed, and though you get a score at the end of a level there's never a tally to let you know how well you did with each colored zone. But that's a small complaint in an otherwise enjoyable and sometimes challenging game. 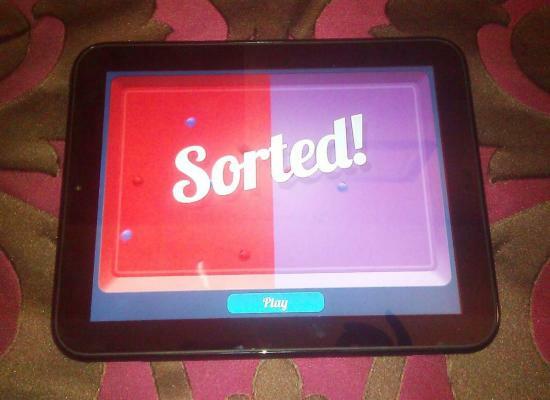 Sorted is currently available in the App Catalog at the introductory price of $1.49. Now practice your finger exercises and get ready to play.